One of the first things people notice about you is your smile. Your smile makes a statement about you. When you meet someone with a beautiful white smile, it catches your attention. Let us help you maintain healthy teeth and gums for life. 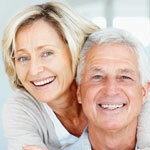 Middle and mature age adults are focused on keeping their natural teeth in a healthy state for life. It's important for you to know that it's never too late to preserve and protect the health of your natural teeth and gums. Cosmetic Dentistry treatment has the potential to change lives. Today, through the continual advancements in the field of Cosmetic Dentistry; it's possible to restore virtually any smile to health, youthfulness and symmetry. Caring for your children’s teeth from an early age is of the utmost importance. Baby teeth or primary teeth help children to speak clearly and chew, they also pave the way for secondary teeth. Children’s teeth need to be looked after gently and carefully. By following a simple dental routine, you can help give your children healthy teeth and gums.